Well, how about another update on the cold? -Denver tied a 111-year-old record by dropping to -8ºF this morning. -Also, Butte, Montana crushed a record low maximum for December 15th at -9ºF. The previous record was 0ºF. -The coldest spot in the nation this morning was Longville, Minnesota at -35ºF. If the GFS verifies, we're looking at another cold weekend in the northern Rockies and adjacent plains. 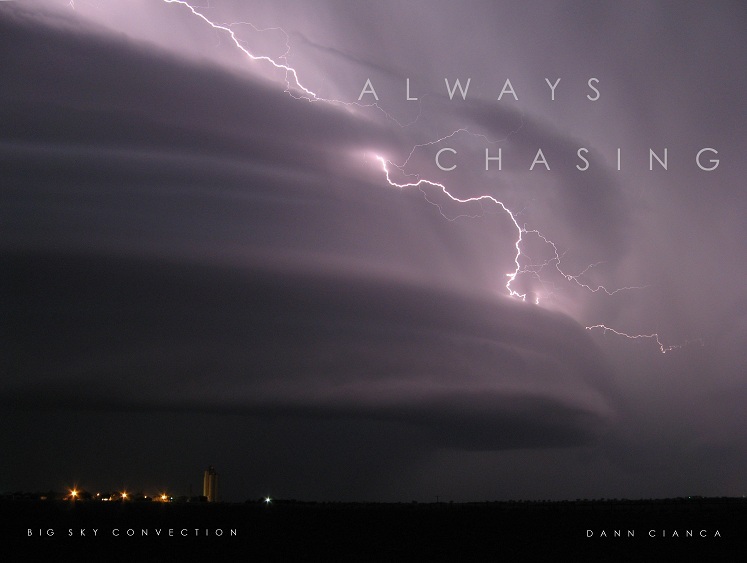 And now, some pretty picture (click for larger) from contributors. The first two are courtesy of Alan Clark of Rock Springs, Wyoming. 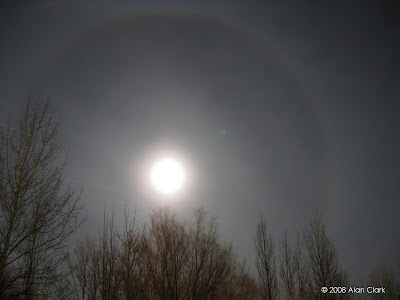 Fantastic shots of halos and a moon dog. According to Alan, the pictures were 8 second exposures taken at 100 ISO. 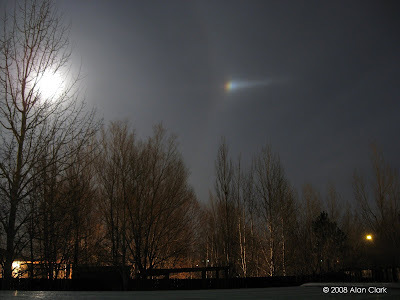 They were taken in Rock Springs at 6:30PM on December 11th. Thanks Alan! 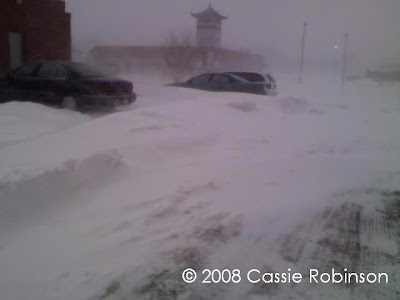 The next photo comes from Cassie Robinson in Fargo, North Dakota. I believe it was taken early on the 15th.